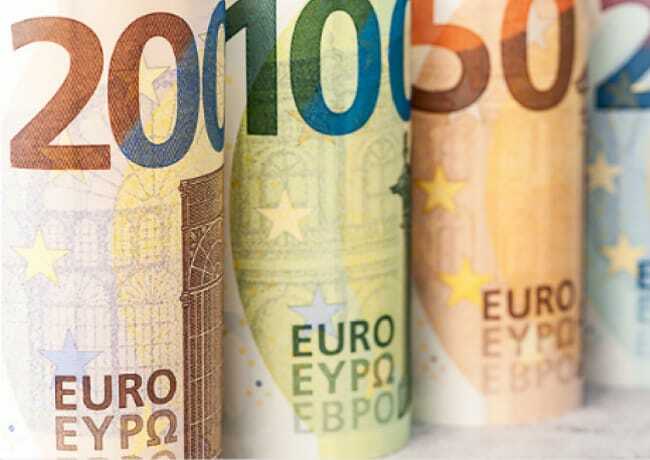 New 100 and 200 euro bank notes are on the way for May 2019 in a bid to foil counterfeiters printing bogus cash. Money laundering and counterfeiting are a big problem for central banks. After scrapping the 500 euro note blaming the large face value for making money laundering easy for criminals and terrorists, the European Central Bank has gradually replaced lower denomination bank notes. The 100 and 200 euro notes are the last for a facelift in the Europa series of notes – so called because the mythical Greek figure appears on each design. The new note will hit cash points and retailers on May 28, 2019. Older bank notes will gradually drop out of circulation on a date to be announced. The redesign also adds security features to beat counterfeiters. Not only are the notes sized slightly differently from the current versions, but they are easy to confirm as original versions with a ‘feel, look and tilt’ check. Although the new notes are the same height as the 50 euro note, both are longer. At the top of the silver stripe, a hologram has small euro symbols that move around the number and sharpen under direct light. The silver stripe shows Europa, an architectural motif and a large euro symbol. The notes also feature an enhanced emerald number displaying euro symbols inside the numerals. The ECB explained why new bank notes are needed. “The ECB has a duty to safeguard the integrity of euro banknotes and continue to improve banknote technology. The Europa series offers better protection against counterfeiting, making euro banknotes even more secure,” said a spokesman. In June 2018, 2.7 billion 100 euro bank notes were in circulation – about 13% of all bank notes. The 200 euro note accounts for around 1% of euro bank notes in circulation. The 100 euro note is the second most popular denomination behind the 50 euro note, which totals 25% of the value of all euro bank notes in circulation.